PayPal accounts are identified by the email address that you used to set them up. This may be different than the email address you used with your website so we need to get this independently from you on this page. There are further customization options available on the Shop page. 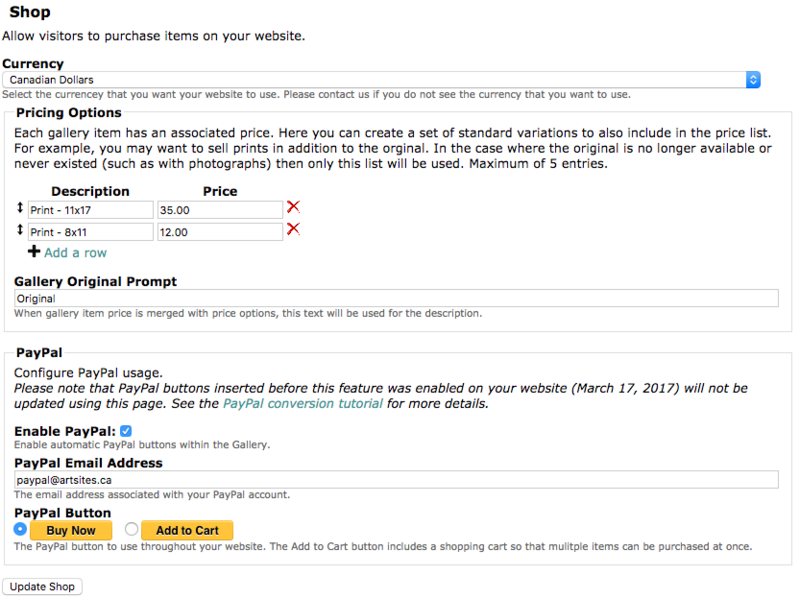 The Pricing Options will generate a list of additional options associated with a PayPal button. In general, most artists will use this to list standardized purchase variations such as prints that can be purchased as well as the original.